The city of Delhi has been the epicentre of political and cultural life in the subcontinent for many centuries, from Qutub-ud-din Aibak to Shah Jahan. Located in the heart of Doab country, between the Ganga and Yamuna, it was important for any conqueror to hold this strategic site in order to rule the northern region. 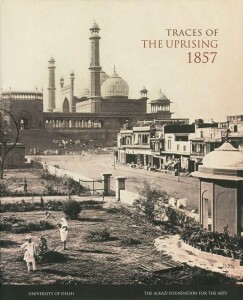 In the 19th century, the present North Campus was part of the British army cantonments, wherein many events relating to the revolt in Delhi unfolded. 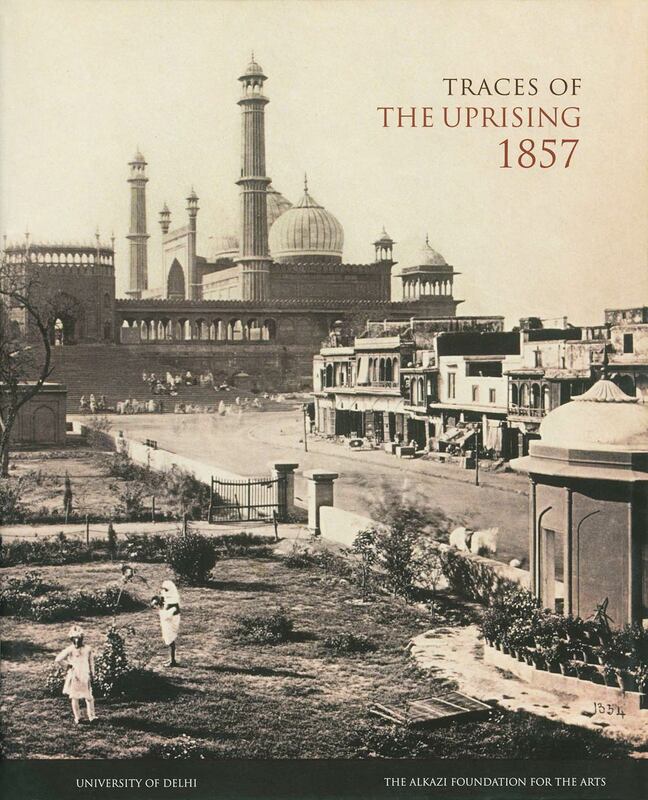 This exhibition catalogue presents essays highlighting the past and present lives of Delhi and other affected cities, connected by a chain of events that led to their memorialisation after the Uprising. Early photography, its poignant simplicity and sheer visual splendour captured in shades of sepia, was a prism through which the changing contours of life was perceived and visualised. These visual narratives become a means of bridging the historical rupture between rarefied cultural zones and commonplace locales. This stimulating endeavour with the staff and students of Delhi University has helped in generating a respect for the past, the preservation of mutilated historical structures and recognition of our collective responsibility in ensuring the sanctity of India’s myriad cultures for the future.